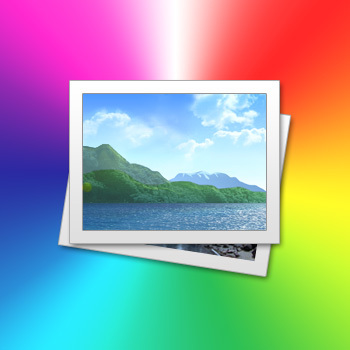 A color profile is a file with extension icc or icm, which contains the necessary settings to any computer-related device to adjust each individual color. Such files are usually present in the installation kits, printers, plotters, displays, scanners, and other devices relevant to the accurate transmission of colors. 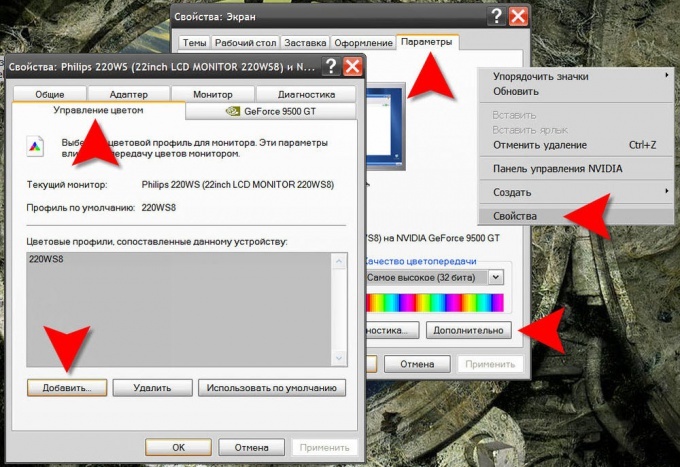 Usually color profiles are installed with the drivers for peripheral devices, but you can do it separately from the installation process. For installations it is necessary to open the properties window for the specific device. For example, to install the color profile for a monitor you need to right-click on free space of desktop, choose in context menu "Properties" and go to the Settings tab. There is a button labeled "Advanced", by clicking it you will open the properties window of the monitor. To manage color profiles here is the tab "color Management". The "Add" button and will allow you to select the file that contains the rendering settings that you want to install. To install the color profile for a printer, you first need to open the control panel by selecting in the menu on the "start" button. Then first go to "Printers and other hardware" and then click "Printers and scanners". So you open the window with list of installed printers. Click the device, right click and select "Properties". In the settings panel of the printer, too, there is a tab "color Management" and setting the new file's color profile happens also with the button "Add". Some software relevant to accurate color, as well as a physical device requires installation of the color profile. For example, in Adobe Photoshop, a link is placed in the menu item "Edit", and called "color settings". This item assigned hot keys SHIFT + CTRL + K. settings window color settings you can select from installed profiles and add new using the "Upload"button. Printers can work in different modes, different quality and speed of printingand cost effectiveness. In addition, in the process they get worn and dirty, which degrades the quality of the printouts. If you are using a dot matrix printer in text mode, use to change the quality of the print buttons on the front panel. When you switch to NLQ mode (Near Letter Quality) the machine prints slower, but better than in Draft, the consumption of dye on the printing of one page is increased. When using dot matrix, inkjet or laser printer in graphics mode, start the configuration utility of printers (the way it is run depends on the OS used). Select the printer, then in its settings, select the desired compromise between speed, quality and cost of printing. Remember that in any printer, regardless of its construction, a finite resource are not only the cartridges but also the engines. When low-quality printing paint, ink or toner are consumed slower, but the engines have to run at higher revs, that's why they wear out faster. 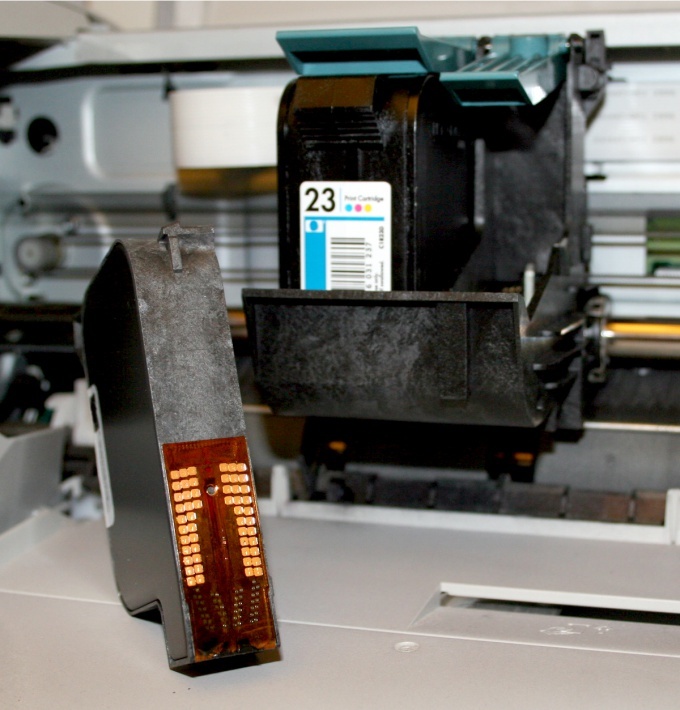 If the laser printer began to print faintly, with white stripes, shake the cartridge horizontally. You can then print a few dozen pages. After that, it should be replaced or the gas station. If the bands on the printout of a laser printer is not white, but black, machine machine professional cleaning and prevention. For refilling laser cartridges use only these shops, where you are cleaning with a vacuum cleaner, even if their services are more expensive. Replace the cartridge with a new one after three or four reloads, and the old hand (some shops even buy them). Contrary to the claims of manufacturers, inkjet printers work better and last longer if you use the continuous ink supply system (CISS). This is due to the fact that the tube is not air enters, as is the case when changing the cartridge. Use in conjunction with such systems only high quality ink. Remember that light even they fade much faster than the original, therefore, protect print from direct sunlight. So the print head does not dry up, regularly use the printer.